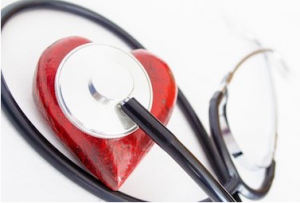 When was the last time you visited your doctor for a heart checkup? Was it in February during American Heart Month? Maybe you’re like many people who don’t see any reason to get checked. It’s no secret that cardiovascular diseases account for 1 in every 3 deaths in the US. More specifically, heart disease accounts for about 25% of all deaths and is the leading cause of death in the United States. In fact, the prevalence of these diseases is so high that 1 American dies every 40 seconds. With these kinds of numbers, getting a regular heart checkup from your doctor might be a good idea. You need to know whether you’re at risk. Why is heart checkup necessary? Heart disease is a term used to refer to different types of heart conditions. These conditions could include Coronary Artery Disease (CAD), Heart failure, Arrhythmia, Cardiac Arrest, Heart Attack, Pericarditis and Congenital Heart Defect, among others. A heart checkup is done to help discover any signs or potential risk factors that could lead to a heart disease. When a test is conducted early, people with a higher risk of developing a heart disease can learn to live healthier and longer. What do Doctors Screen for during a heart checkup? If heart diseases run in your family, then you’re at a higher risk of developing one based on genetic factors. Your doctor may ask a few questions about any heart disease history in your family. This could be immediate family members or extended. During a heart checkup, the cholesterol screening specialist will measure the amount of cholesterol in your body. This will be done through a Lipid Panel Screening, which involves measuring three lipids in your blood. This type of screening will look at your low-density lipoproteins (LDL), high-density lipoproteins (HDL) and triglycerides. When you have high levels of LDL (bad cholesterol), low levels of HDL (good cholesterol), or high levels of triglycerides, you’re at higher risk for heart disease. Doctors will also take a look at the amount of pressure your blood is putting on the artery walls as your heart pumps. This is what is known as blood pressure. And since many people do not experience any symptoms of high blood pressure, this test can help discover more than expected. High blood pressure is a huge risk factor for heart disease. Also look out for the level of sugar in your blood, otherwise known as blood glucose levels. This is to check for diabetes, another leading risk factor for heart disease and stroke. For this test to be successful, your doctor may request that you don’t eat for about 8 hours prior. Doctors will also screen for the amount of C-reactive protein (CRP) that is present in your blood. High levels of CRP are a direct indicator of an inflammation or infection in your body. If your test records show high levels of CRP, this is an indication for high-risk cardiovascular disease. The abdominal aorta is the main artery in your heart and the largest blood vessel in your body. When the lining of this blood vessel becomes swollen or is enlarged, it leads to a condition known as Abdominal Aortic Aneurysm. This condition is usually silent and only noticeable during an emergency. For this reason, doctors may use ultrasound to measure your aorta during a heart checkup. After your doctor has examined the above, further screening may be recommended based on your results. This additional screening may include checking for the heart’s electrical activity and heart rate, taking an ultrasound of the heart, a cardiac stress test, and other disease-specific screening. How often should you get a heart check up? Unless you have suffered a heart condition in the past, screening for heart diseases is recommended at the age of 20 and above. How often you go in for checkups after that will depend on your risk factors and diagnosis for a heart condition. More specifically, if your blood pressure is below 120/80mm Hg, the American Heart Association recommends a checkup once every two years. Cholesterol levels should be taken every 4–6 years for normal risk patients. Sugar levels should be checked at least every 3 years. And CRP screening should be conducted on patients with a 10–20% chance of a heart attack. Going for a heart check up is the only way to know if you are at risk of suffering a heart disease. And with 1 in 4 deaths being caused by heart disease, you’re better off knowing where you stand. Schedule a heart checkup today to live a healthy life.